Ever since NICOclub was founded, we’ve been huge fans and supporters of entrepreneurs and small businesses. We’ve been fortunate enough to have been involved with several startups, and many independent endeavors made their debut on these very pages. Despite what the media (and most people under 30) would have you believe, “building a better mousetrap” is still the best way to find success in the marketplace – and we’d like to introduce you to another entrepreneur who has done just that. 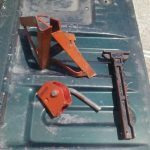 Frank Ceravolo is a Florida inventor who has developed a rather impressive alternative to a product we all have in our garages (and one that hasn’t been improved or updated in over 60 years): The lowly jack stand. The problem with standard jackstands are well-known. They’re cumbersome, inconvenient, unsafe, and prone to failure. 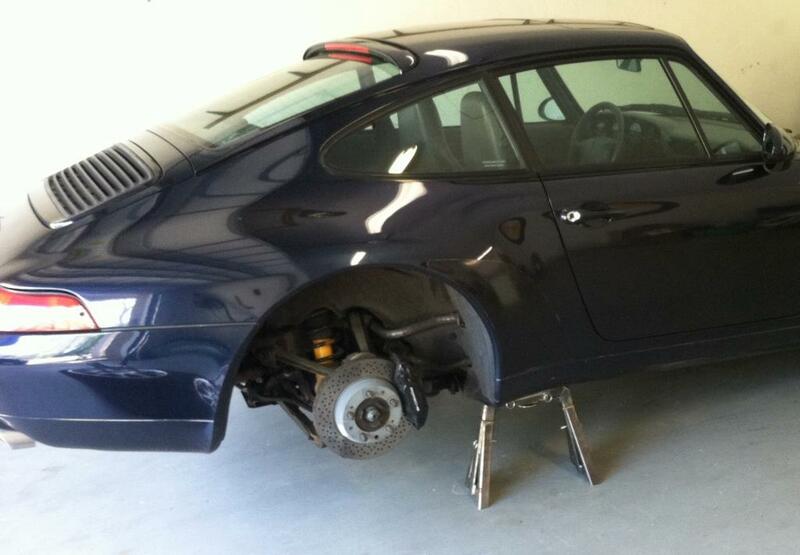 With many modern automobiles, especially high performance cars or those with modified ride height, only a limited amount of space exists whereby a lifting device (a hydraulic jack, usually) may be applied. 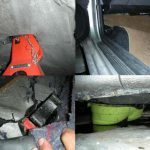 In many cases, due to this limited space, once the automobile has been lifted, it is not possible to place jack stands under the chassis because that limited space is occupied by the lifting device. The locations on the chassis that are suitable for lifting and supporting the vehicle have been designated by the automobile manufacturer, and supporting the automobile with jack stands outside of these designated spaces presents hazards to the vehicle – as well as to anyone working under or around the vehicle. Easily placed under the vehicle without repositioning. Adjustable in height for various applications. Functional in a limited-clearance environment. Can be substantially disassembled for convenient storage. To that end, Mr. Ceravolo developed the RennStand. To summarize, it’s a new safety stand that works with a hydraulic floor jack to allow you to both lift and support a vehicle at the factory jacking points. It is height adjustable, compact, and lightweight. It’s been tested by an engineer from Embry Riddle Aeronautical University for safety and durability. RennStand has a wider footprint than conventional stands, for a much more stable platform. This becomes even more important when you want to support a vehicle at a greater height. 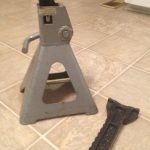 Anyone who’s ever wrenched on a car in their garage can tell you that conventional jack stands stands always look precarious when they’re extended to maximum height (and are far more prone to failure). 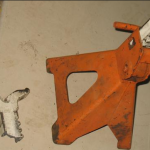 Jackstand failure happens, and when it does, it’s painful, expensive, and potentially deadly. 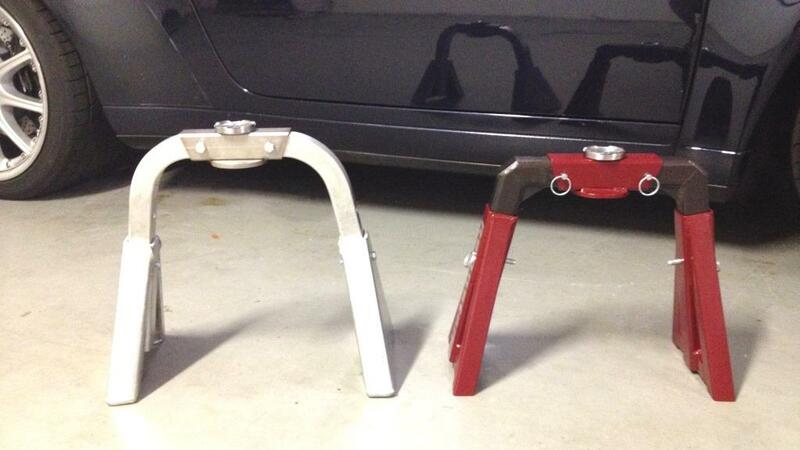 When using RennStands, the jack and the stand move up and down in unison during the lifting and lowering process. Once the jack is in the manufacturer-recommended location, there is no need to worry about aligning the stand as you would when putting a car onto conventional stands. The exchangability of the adapters are a benefit as well. 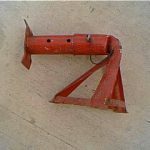 For example, with the pinch-weld and peg adapters, the jack, the stand, and the vehicle are virtually locked together in the lifting process, so the likelihood of the car slipping off the jack or stand is greatly reduced. The adapters can be swapped out to fit various factory jacking points. 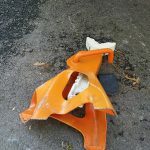 This prevents damage to the underside of the vehicle as compared to the fixed crescent shaped “cup” found on conventional stands. For me, the interchangeable adapters are the biggest benefit – I can’t count how many classic Datsuns I’ve inspected with huge dents and tears in the underbody sheet metal due to improper jack placement, and this kind of damage invites rust with a quickness. 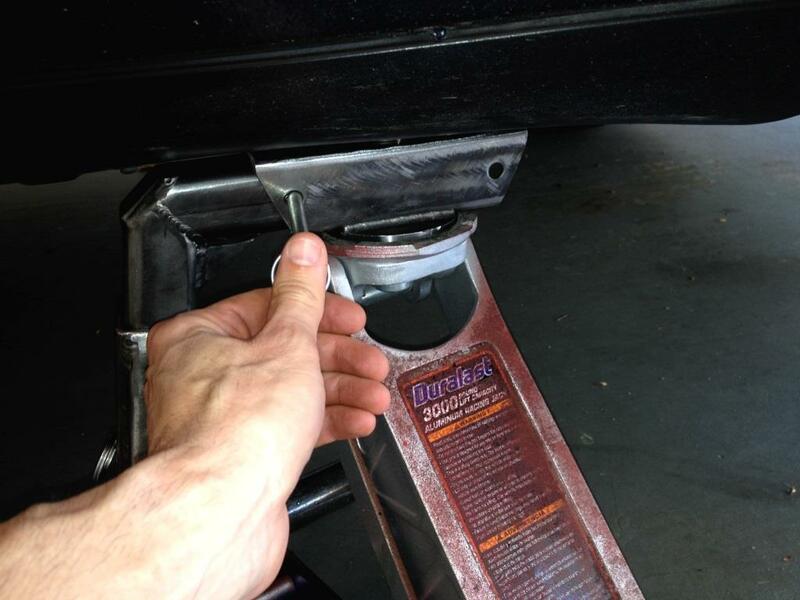 Using a pinch weld adapter will ensure my cars’ clean, straight, and strong pinch welds remain as such, and those of you who own a Corvette know that jack and jack stand placement (and use of the proper adapters) is critical. A patent has already been granted, and we’re hopeful that RennStands will be on the market soon – I’ll definitely be replacing every one of my traditional jackstands after seeing this!